The poem, "The Sobbing Walrus," was likely written at a time when the Beat Poets first emerged as a force in American literature. Free verse, a spontaneous stream of consciousness prose, using a thoroughly American vernacular, began with Jack Kerouac’s novel “On The Road.” Alan Ginsberg’s poem “Howl” is also a prime example. 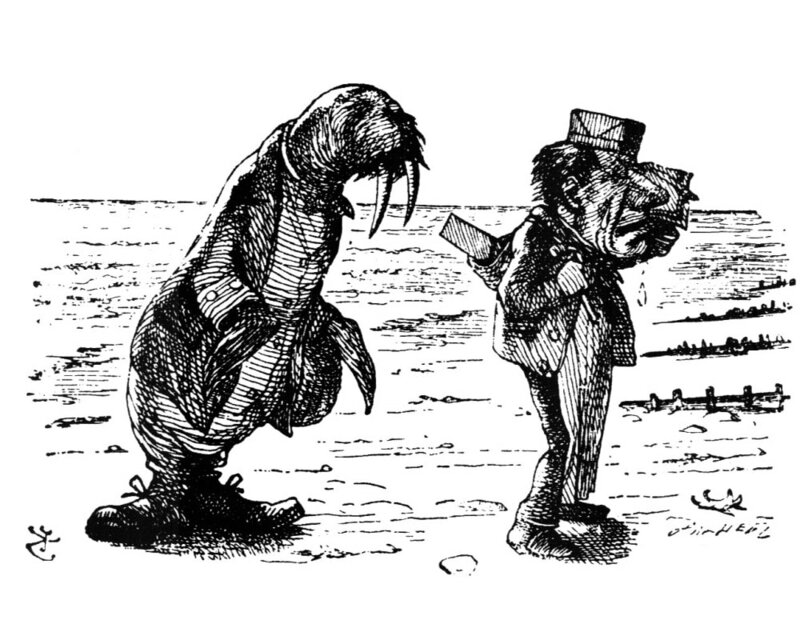 The Sobbing Walrus, is actually, of unknown origin, but is believed to possibly be the work of either Lord Byron or Baron Munchhausen. Either way, it is an exceptional example of Beat poetry, sometimes called Neo-rap. “Like a swinging breeze, swinging thru the trees…..easy baby...easy!” Replied the Undertaker, who’d just met his maker. “Let me sees, what you bees, in trees, with fleas, who flee….let it be. Let it be.” Answered the Carnival Barker. “May the sunshine, and the bells chime, let turpentine….it’s mine baby….all mine.” said The Ghost with the most to a piece of toast. "A Rascal goes where the river flows, where the gopher knows, running on his toes….sayin' “Mo baby! Mo!” exclaimed Lincoln’a Chain. “So, Mr. Elephantine was drinking his Ovaltine. Misty waters seem...just like a dream. Dream baby….dream.” echoed a voice deep in the canyon. “Shaw 'Nuff!" Shaw 'Nuff!” said the director. Who’s name was Hector. Living in the 4th sector, right next to the meat inspector. “How about this?” he said with a kiss.